Thursday morning I was called into a meeting unexpectedly and given the news that one of my students would probably not be returning to school this year. The news and the surrounding circumstances hit me with a wave of emotions. After discussing logistics such as how to mark her attendance and what to tell her classmates, I was dismissed. I made it about halfway down the hallway before I realized I was not ready to go back into my classroom. I asked a colleague to cover my classroom for a minute. I walked to the bathroom and cried. I felt a profound sense of loss and sadness. Teachers — especially those of us who spend all day with the same students — forge deep relationships with the young people in our classrooms. Along the way of teaching them how to read, write and enumerate, we are also getting to know them as human beings. Even when these relationships are fraught with conflict, we care for these students as if they are family. We don’t often talk about it, but at the end of the year, along with the sweet relief of summer vacation, there’s a pang of sadness. The end of the year is a goodbye. In the course of a school year I have spent roughly 1,000 hours with my students. In addition to lessons, tests and field trips, these hours have included birthdays, team builders and difficult conversations. Meanwhile, these hours have been filled with countless little interactions where I provide comfort, feedback, humor, discipline and much else. It is not surprising then, that when my student left our classroom community abruptly I had a strong reaction. The fact that I had to control this reaction privately speaks to an aspect of teaching that is one of the most challenging and unspoken. Sociologists call the work of deciding when and how to express emotions emotional labor. And oddly enough, even though it is in many ways the foundation of our work as teachers, we rarely discuss it. Teachers are faced with hundreds of decisions each day. Do I crack a smile when a third grader shouts out “Your mom” at an inappropriate time? Do I show frustration when someone from the office interrupts a lesson (for the third time)? What do I say when a parent complains another student is picking on her child, even though I know her child is the instigator? Making and managing these choices is the emotional labor that is in some ways the “glue” of our classrooms. So why is it so rarely spoken about when we talk about teaching? One reason could be because emotional labor tends to be disproportionately done by women. In the case of teaching, it may be that it is a female dominated profession because of the expectation of emotional labor embedded in the job. Or it may be that emotional labor has become an expectation of the work because it is done predominantly by women. Meanwhile our school, district and state leaders tend to be men. 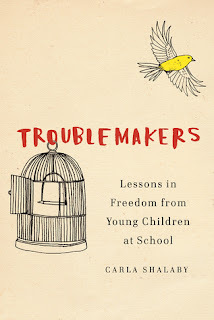 Teachers often complain about the disconnect between those making and enforcing the policies that impact our classrooms. This disconnect is likely not just about bureaucratic distance from our work, but also related to gender. So much of teaching is emotional labor, but men don’t talk about feelings. As a teacher and a man I need this to stop. I was fortunate to have a colleague to cover my classroom while I took roughly 60 seconds to recover from the shock of losing a student from my classroom. But do you know what I felt in the moment underneath my sadness? Shame! As a man and as a teacher I was embarrassed that I’d allowed a crack in my facade. I understand why it was important to the other students that I maintain my composure but it was taxing work! And the silence around that work becomes maddening. If we don’t acknowledge this stress and treat it we are ultimately doing a disservice to our students. You can’t take care of young people of you aren’t taking care of yourself. Meanwhile what is the unspoken message we’re sending to our students? I spend a lot of time teaching my third graders about communication and regulating their emotions. We rely heavily on “I statements”, for example “I felt angry when you cut in front of me in line, next time could you not do that?” This type of explicit teaching is only part of our responsibility as adults. When we don’t talk about the emotional labor of teaching, in addition to adding a layer of stress to our work, we are hiding a layer of our humanity from our students. We are missing opportunities for “teachable moments” where we might discuss our own feelings. Furthermore, let’s not forget the root cause of teachers’ roller coaster of feelings: we care deeply for our students. Why would we hide that from them? To think that a student just stopped showing up one day and my students wouldn’t think that affects me deeply, is a troubling thought. We know that the social emotional well-being of our students is central to our students’ learning. It’s time for us to do better attending to the social emotional well-being of teachers as well. Thank you for this. It could not have come across my FB Feed at a better time. I am a High School teacher at a school in NH. This week we learned of the death of three recent graduates and that one is fighting for his life in the hospital. We have lost many students and faculty here in the 10 years I have worked here and never have we really addressed the toll this loss takes on us as a faculty. We take care of our kids, but we need help taking care of ourselves. Loving kids and not getting crushed when bad things happen to them are tricky waters to navigate. If more of us speak about our experiences, maybe we can change things.